All views are the opinion of the author. August 2014. ‘After visiting the recent natural history museum community conference in July: SPNCH 2014, Cardiff, Mark Carnall reflects on what the sector internationally is thinking and doing – in particular what’s happening digitally and what people’s thoughts are on a UK natural science database’. The broad theme of the conference was historic collections and future resources and many of the presentations were about off-label uses of collections, advocacy and digitisation. Inspiringly, the conference was kicked off with a series of keynotes which carried the resounding message of “get over it” when it comes to the communities’ existential crisis in demonstrating value and worth with a rousing series of presentations from Professor Paul Smith and Dr Chris Norris setting the tone for the rest of the conference. Off-label use of collections, a term borrowed from accidental discoveries of secondary beneficial side effects in the pharmaceutical industry, came up time and time again. Cynically, as the curator of a small museum it’s nice to finally be joined by colleagues from some bigger museums who, without having to face the “use it or lose it” challenge to keep a museum in existence, have cottoned on to the notion that perhaps collections have uses beyond the 10% of material that has a function in alpha taxonomy and (often low impact) taxonomic research. Colleagues presented example after example of natural history collections being used for research into environmental change. One question that wasn’t satisfactorily answered was about how this use of collections can be procedurally built into research. Many of the examples were incidental discoveries (hence off-label) rather than arising from researchers deliberately thinking of uses of collections in the first instance. However, advocates for the importance of natural history collections now have a new suite of examples to convince decision and policy makers about unique insights into the natural world which can only be gleaned from scrutinising collections. When it came to advocacy, unfortunately the community fell into the trap of talking about scientific research use of collections almost to the exclusion of all other audiences. I’ve written before about how natural history museums need to celebrate and contribute more to being a part of the cultural sector, especially for museums which don’t hold scientifically important collections and specimens. Myopia aside, the community seems to have come on to some degree, telling each other how important natural history collections are, which came out in a panel discussion on advocacy. There are still a lot of stereotypes about what museums are and what they do that need to be pulled down, but there’s a danger in evangelising which can be quite divisive. Another general theme that came out across the series of talk days is that we need to get more sophisticated and generally get better at demonstrating what we do well. 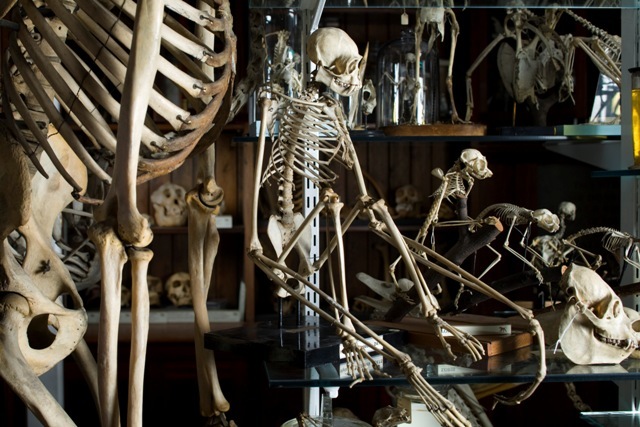 The finding of the NatSCA and Arts Council England study into the popularity of different kinds of museum galleries was presented, demonstrating that natural history collections are the most popular, but put some audiences off if they don’t appear to be well maintained or invested in. Natural History Near You was also presented, finally making headway into ascertaining exactly where all the natural history collections are, a fundamental piece of information that has eluded several generations of natural history collections workers. Interestingly, one of the contrasts between the UK delegates and those from the rest of Europe and North America was that with a handful of exceptions, the majority of the social media generated around the conference came from UK colleagues. It seems that social media is yet to take off as a promotional, professional networking and advocacy tool for museum professionals elsewhere. Lastly, there was a cornucopia of presentations on digitising collections. It’s uncontroversial to say that museums in general are far from being digital – let alone post digital – and that natural history museums and collections as a group are lagging behind the rest of the museum sector. It seems that colleagues in North America and from the rest of Europe are making huge advances in all aspects of digitisation from technical advances, standards in digitisation, data capturing pipelines and networks, and databases linking specimen information. Embarrassingly, UK museums are somewhat left in the dust, contributing little to the 20 or so European and International data repositories and the data that does exist is incomplete, hard to export, manipulate or in many cases even locate – let alone scrutinise. This is in part what the #naturedata project hopes to solve, with “one portal to rule them all” in the UK at least. The need for this is even more pressing thanks to worryingly vague requirements for databases required for compliance with the Nagoya Protocol on Access and Benefit-sharing. Three conference sessions on the Nagoya Protocol valiantly tried to deconstruct the bureaucratic layers represented by this legislation but it looks like the practicalities of compliance will be causing headaches for generations of museum professionals yet. Overall, the conference was an excellent set of days. Networking and socialising with enthusiastic, passionate and brilliant colleagues really is the best way to recharge the batteries and reinvigorate the soul. Throughout the presentations the niggling thought I kept returning to was that all the innovative, experimental and inspiring ways we use to get the most of our collections are still hamstrung by our fundamental issue of getting a handle on what we have in our collections. The curse and gift of natural history collections is their vast size, but it’s no longer good enough to use the size of our collections as an excuse for not getting to grips with every single specimen we have and making them available to the people for whom we keep them in trust.